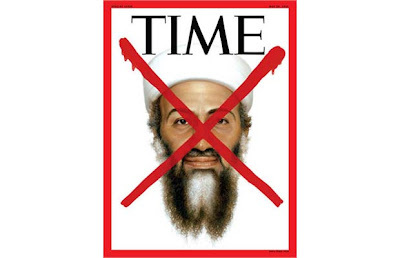 Days after its initial announcement, the World is still in its infancy in digesting the information that CIA operative Tim Osman; aka Osama bin Laden was killed on May Day, May 2 2011. Bin Laden was the leader of Al-Qaeda [The Base]: a terrorist organisation from the Middle East, largely created by former US National Security Adviser Zbigniew Brzezinski. Al-Qaeda's aim was to totally obliterate the ideals and cultures of the Western World by use of extreme force - and doing so through their own twisted complex philosophy of Islam. 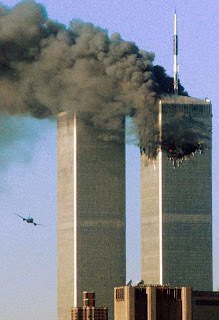 Al-Qaeda is synonymously connected to the USA's World trade Center attacks in the heart of New York on September 11 2001. This atrocity prompted the "War on Terror", which resulted with wars in Afghanistan and Iraq. Bin Laden was thought to have been in hideout in the Tora Bora region of Afghanistan soon after the 9/11 attacks, but apparently the World's most wanted man had evaded the clutches of U.S. military troops and its allies for almost ten years, until his demise just a few days ago. As news of bin Laden's death was being rolled out to the world, numerous UK media outlets associated a fake photo of the defeated Osama to the story of his death. It was used on the front pages of the Mail, Times, Telegraph, Sun and Mirror websites, though swiftly removed after the fake was exposed on Twitter; as reported by The Guardian. 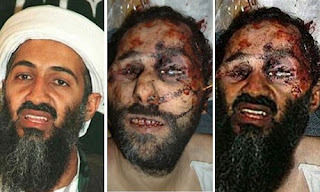 Although the image of Osama previously used by the media is a fake and has no ties of content released by the White House, as things stand they are contemplating whether to relinquish their own fake photos of the dead bin Laden, but fear that the images are "gruesome" and inflammatory.